Whether you’re looking to burn stubborn body fat that just won’t come off, or you’re exercising consistently but can’t seem to shake off that ring of fat around your gut, Raspberry Ketone Blend is an exciting new supplement that can assist your weight loss program. Why Is There Such A Buzz About Raspberry Ketone? Raspberries have long been regarded as a powerful superfood because they contain many bioactive phytonutrients and phytochemical compounds that can influence human health positively. Raspberries actually rank near the top of all fruits for antioxidant strength as measured by its ORAC (oxygen radical absorbance capacity) score. Raspberry Ketone is a natural compound found in high concentrations almost exclusively in red raspberries. It is primarily responsible for the unique aroma of raspberries. Researchers have discovered that Raspberry Ketone regulates a protein in humans called Adiponectin. Adiponectin regulates a number of metabolic processes in the body and cells, including glucose regulation, fatty acid catabolism, and thermogenesis. Higher levels of adiponectin are associated with fewer fat stores. Scientists studied the effects of Raspberry Ketones on in vitro fat cells and observed a higher secretion of adiponectin when compared to controls. Adiponectin has been found to play a role in the suppression of the metabolic derangements that may result in type II diabetes, obesity, atherosclerosis, non-alcoholic fatty liver disease (NAFLD,) and an independent risk factor for metabolic syndrome. Adiponectin in combination with leptin has been shown to completely reverse insulin resistance in mice. Although it circulates in high concentrations, adiponectin levels are lower in obese subjects than in lean subjects. Apart from negative correlations with measures of adiposity, adiponectin levels are also reduced in association with insulin resistance and type II diabetes. It decreases the absorption of dietary fat. It causes the fat within your cells to breakup more effectively, literally blasting bad fat from your cells so your body burns fat at a much faster pace. It boosts norepinephrine-induced lipolysis leading to an increase in the brown adipose tissue that is responsible for fat burning thermogenesis and the oxidation of body fat. A handful of studies from Asia suggest that raspberry ketone — which is chemically similar to capsaicin, the heat compound from chili peppers — might help burn fat, especially the fat that builds up in the liver. The reported benefits are impressive. In a breakthrough clinical study (Morimoto et al, 2005) conducted by the Department of Medical Biochemistry, Ehime University School of Medicine (Japan), researchers found that Raspberry Ketone appeared to have the potential to support body fat reduction. In the study, mice were fed a high fat diet for 10 weeks to induce obesity. In addition to the high fat diet, the treated group was fed various amounts of Raspberry Ketone. By the end of the study, the treated group gained less body fat than the control group. Ehime University researchers published their findings in Life Sciences (77 (2005) 194-204) under the title "Anti-Obese Action of Raspberry Ketone". The main function of the Raspberry Ketone weight loss diet pill, which has been recognized as “Safe” (GRAS) since 1965, is to raise the amount of fat that gets burned in our body. These weight loss diet pills promise to reduce a weight of a person by up to five pounds within a week’s time. Thus, it can be touted as a risk-free and painless method to get rid of weight easily. It has also been clinically established that this weight loss supplement doesn’t offer any side effects, which is why more and more people are taking the easy route of taking Raspberry Ketone weight loss pills to shed their weight quickly and naturally. What Is The Recommended Daily Dosage To Get Fat Burning Benefits? 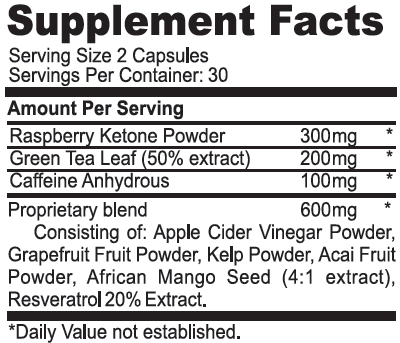 The recommended dosage of Raspberry Ketone is 100-200mg per day. To receive the same benefit from eating fresh raspberries you would need to consume 90-180 pounds of per day. Supplementing your diet with 100% pure Raspberry Ketone is the quickest and most effective way to receive the daily recommended dosage of this powerful ingredient so you can begin eliminating stored fats.